Is the Slip Ring Induction Motor Application Fit for Every Mechanical System? Non-stop performance of a slip ring in a mechanical system can cause erosion of the brushes and wearing out of bearings. 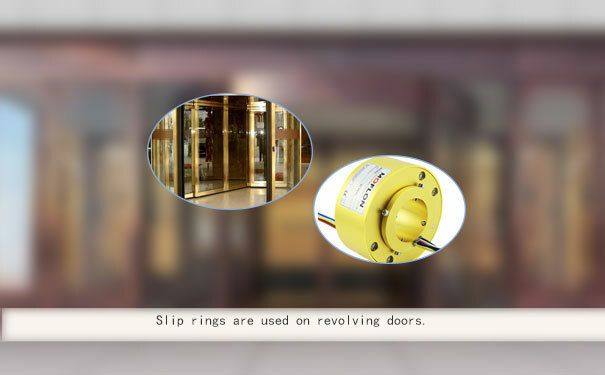 In most of the electrical equipment, like the ones used in printing press, ventilation fans, elevators, or pumps, the slip ring induction motor is a perfect fit. The motor induction slip ring or wound rotor begins to perform when applied on a high voltage on its terminal. Having an external resistance connected to the rotor circuits controls the flow of current at maximum speed by increasing the external resistance. Thus, it is aptly called the variable speed motors. The slip ring induction motor performs better where more intermittent loads are required. The presence of external resistance in the motor helps to increase the speed of the current which varies from 50% to 100%. There is less chance of overheating of these slip rings as it has the capacity for high loading and great speeding power. But sometimes the wound rotor can emit spark due to the wearing of the brushes. 1)High torque: The induction motor peaks high torque for the external resistance. 2)Low current: The external resistance also controls the transformation of the current. It has a low starting current. 3)Maintenance: The slip ring and the brushes require high maintenance. 4)No heating: even after working for a long time, there is any irregular heating. 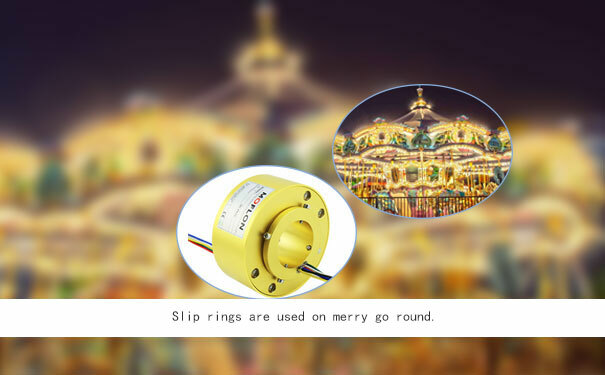 The term through hole slip ring belongs to the conductive slip ring series. It has a central hole, and it is mostly used for the gas-liquid pipelines. Its diameter ranges from 12.7 mm to 210 mm. The slip ring is gold plated while the brushes are made of alloy. Primarily this slip ring is used for transmitting precision signals and high current. It has the capacity to work with the high voltage and low current flows from the rotating body. Advanced technology helps to rotate the motor shafts and transmit the power to the stator part of the machine. The hydraulic slip ring is manufactured for the vacuum cleaner, coolant, gas, steam and oil industries. It helps to transfer hydraulic power to the hydraulic blade. This hydraulic rotary joints can combine 1~ 128 wires for sending the power and signal from the stationary structure to the rotary body. These slip ring supports 1 ~ 24 pathways for proper data transmission. The hydraulic joints are used as it produces less electrical noise, compact in size and has the capability to transfer analog and digital signals. The slip ring metal is gold plated and has carbon brush. These slip rings have no issue of contact transmit as it has protection solution. To use for various purposes, the hydraulic joints are constructed on the basis of the request of a customer. These slip rings are made of high quality at an affordable cost, and the materials are reliable. Pri: Wind Turbine Slip Ring: An Introduction Next Solutions For Your Electrical Apparatus Only At Moflon!